Thank you for using WOLF. These Terms of Service (the "Terms") are intended to make you aware of your legal rights and responsibilities with respect to your access to and use of the WOLF website at www.wolf.ooo (the "Site") and any related mobile or software applications ("WOLF Platform") including but not limited to delivery of information via the website whether existing now or in the future that link to the Terms (collectively, the "Services"). 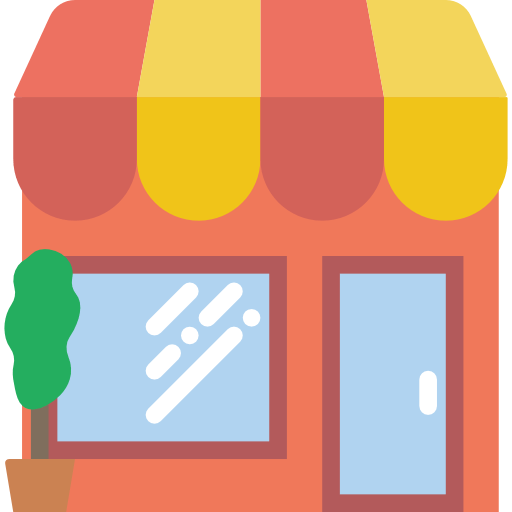 These Terms are effective for all existing and future WOLF users, including but without limitation to users having access to ‘restaurant business page’ to manage their claimed business listings. Please read these Terms carefully. By accessing or using the WOLF Platform, you are agreeing to these Terms and concluding a legally binding contract with B3 Website Limited and/or its affiliates. You may not use the Services if you do not accept the Terms or are unable to be bound by the Terms. Your use of the WOLF Platform is at your own risk, including the risk that you might be exposed to content that is objectionable, or otherwise inappropriate. Actually using the Services. In this case, you understand and agree that WOLF will treat your use of the Services as acceptance of the Terms from that point onwards. "Content" will include (but is not limited to) reviews, images, photos, audio, video, location data, nearby places, and all other forms of information or data. "Your content" or "User Content" means content that you upload, share or transmit to, through or in connection with the Services, such as likes, ratings, reviews, images, photos, messages, profile information, and any other materials that you publicly display or displayed in your account profile. "Wolf Content" means content that Wolf creates and make available in connection with the Services including, but not limited to, visual interfaces, interactive features, graphics, design, compilation, computer code, products, software, aggregate ratings, reports and other usage-related data in connection with activities associated with your account and all other elements and components of the Services excluding Your Content and Third Party Content. "Third Party Content" means content that comes from parties other than Wolf or its users and is available on the Services. "Restaurant" means the restaurants listed on Wolf and any related mobile or software applications of Wolf. WOLF may vary or amend or change or update these Terms, from time to time entirely at its own discretion. You shall be responsible for checking these Terms from time to time and ensure continued compliance with these Terms. Your use of WOLF Platform after any such amendment or change in the Terms shall be deemed as your express acceptance to such amended/changed terms and you also agree to be bound by such changed/amended Terms. WOLF may provide a translation of the English version of the Terms into other languages. You understand and agree that any translation of the Terms into other languages is only for your convenience and that the English version shall govern the terms of your relationship with WOLF. Furthermore, if there are any inconsistencies between the English version of the Terms and its translated version, the English version of the Terms shall prevail over others. WOLF is constantly evolving in order to provide the best possible experience and information to its users. You acknowledge and agree that the form and nature of the Services which Wolf provides, may require effecting certain changes in it, therefore, Wolf reserves the right to suspend/cancel, or discontinue any or all products or services at any time without notice, make modifications and alterations in any or all of its contents, products and services contained on the site without any prior notice. We, the software, or the software application store that makes the software available for download may include functionality to automatically check for updates or upgrades to the software. Unless your device, its settings, or computer software does not permit transmission or use of upgrades or updates, you agree that we, or the application software or software application store, may provide notice to you of the availability of such upgrades or updates and automatically push such upgrade or update to your device or computer from time-to-time. You may be required to install certain upgrades or updates to the software in order to continue to access or use the Services, or portions thereof (including upgrades or updates designed to correct issues with the Services). Any updates or upgrades provided to you by us under the Terms shall be considered part of the Services. You acknowledge and agree that if WOLF disables access to your account, you may be prevented from accessing the Services, your account details or any files or other content, which is contained in your account. You acknowledge and agree that while WOLF may not currently have set a fixed upper limit on the number of transmissions you may send or receive through the Services, WOLF may set such fixed upper limits at any time, at WOLF's discretion. The Content on these Services is for informational purposes only. WOLF disclaims any liability for any information that may have become outdated since the last time the particular piece of information was updated. WOLF reserves the right to make changes and corrections to any part of the Content on these Services at any time without prior notice. WOLF does not guarantee quality of the Goods, the prices listed in menus or the availability of all menu items at any restaurant. Unless stated otherwise, all pictures and information contained on these Services are believed to be owned by or licensed to WOLF. Please email a takedown request (by using the “Contact Us” link on the home page) to the webmaster if you are the copyright owner of any Content on these Services and you think the use of the above material violates Your copyright in any way. Please indicate the exact URL of the webpage in your request. All images shown here have been digitized by WOLF. No other party is authorized to reproduce or republish these digital versions in any format whatsoever without the prior written permission of WOLF. Any certification, licenses or permits (“Certification”) or information in regard to such Certification that may be displayed on the Restaurant’s listing page on the Platform is for informational purposes only. Such Certification is displayed by WOLF on an 'as available' basis that is provided to WOLF by the Restaurant partner(s). WOLF does not make any warranties about the validity, authenticity, reliability and accuracy of such Certification or any information displayed in this regard. Any reliance by a user upon the Certification or information thereto shall be strictly at such user’s own risk and WOLF in no manner shall assume any liability whatsoever for any losses or damages in connection with the use of this information or for any inaccuracy, invalidity or discrepancy in the Certification or non-compliance of any applicable local laws or regulations by the Restaurant partner. WOLF reserves the right to charge subscription and/or membership fees from a user, by giving reasonable prior notice, in respect of any product, service or any other aspect of the WOLF Platform anytime in future. WOLF may from time to time introduce referral and/or incentive based programs for its users (Program). These Program(s) maybe governed by their respective terms and conditions. By participating in the Program, Users are bound by the Program terms and conditions as well as the WOLF Platform terms. Further, WOLF reserves the right to terminate / suspend the User’s account and/or credits / points earned and/or participation of the User in the Program if WOLF determines in its sole discretion that the User has violated the rules of the Program and/or has been involved in activities that are in contravention of the Program terms and/or WOLF Platform terms or has engaged in activities which are fraudulent / unlawful in nature. Furthermore, WOLF reserves the right to modify, cancel and discontinue its Program without notice to the User. You may also be able to register to use the Services by logging into your account with your credentials from certain third-party social networking sites (e.g., Facebook). You confirm that you are the owner of any such social media account and that you are entitled to disclose your social media login information to us. You authorize us to collect your authentication information, and other information that may be available on or through your social media account consistent with your application settings and instructions. In creating an account and/or claiming your business’ listing, you represent to us that all information provided to us in such process is true, accurate and correct, and that you will update your information as and when necessary in order to keep it accurate. If you are creating an account or claiming a business listing, then you represent to us that you are the owner or authorized agent of such business. You may not impersonate someone else, create or use an account for anyone other than yourself, provide an email address other than your own, create multiple accounts or business listings except as otherwise authorized by us, or provide or use false information to obtain access to a business’ listing on the Services that you are not legally entitled to claim. You acknowledge that any false claiming of a business listing may cause WOLF or third parties to incur substantial economic damages and losses for which you may be held liable and accountable. You are also responsible for all activities that occur in your account. You agree to notify us immediately of any unauthorized use of your account in order to enable us to take necessary corrective action. You also agree that you will not allow any third party to use your WOLF account for any purpose and that you will be liable for such unauthorized access. By creating an account, you agree to receive certain communications in connection with WOLF Platform or Services. For example, you might receive comments from other Users or other users may follow the activity to do on your account. You can opt-out or manage your preferences regarding non-essential communications through account settings. In order to connect you to certain restaurants, we provide value-added telephony services through our phone lines, which are displayed on the specific restaurant listing page on the WOLF Platform, which connect directly to restaurants’ phone lines. We record all information regarding this call including the voice recording of the conversation between you, and the restaurant (for internal billing tracking purposes and customer service improvement at the restaurant's end). If you do not wish that your information is recorded in such a manner, please do not use the telephone services provided by WOLF. You explicitly agree and permit WOLF to record all this information when you avail the telephony services through the WOLF provided phone lines on the Wolf Platform. You agree to use the data owned by WOLF (as available on the Services or through any other means like API etc.) only for personal use/purposes and not for any commercial use (other than in accordance with ‘Claim Your Business Listing’ access) unless agreed to by/with WOLF in writing. You agree not to access (or attempt to access) any of the Services by any means other than the interface that is provided by WOLF, unless you have been specifically allowed to do so, by way of a separate agreement with WOLF. You specifically agree not to access (or attempt to access) any of the Services through any automated means (including use of scripts or web crawlers) and shall ensure that you comply with the instructions set out in any robots.txt file present on the Services. We are the sole and exclusive copyright owners of the Services and our Content. We also exclusively own the copyrights, trademarks, service marks, logos, trade names, trade dress and other intellectual and proprietary rights throughout the world (the “IP Rights”) associated with the Services and WOLF Content, which may be protected by copyright, patent, trademark and other applicable intellectual property and proprietary rights and laws. You acknowledge that the Services contain original works and have been developed, compiled, prepared, revised, selected, and arranged by us and others through the application of methods and standards of judgment developed and applied through the expenditure of substantial time, effort, and money and constitutes valuable intellectual property of us and such others. You further acknowledge that the Services may contain information which is designated as confidential by WOLF and that you shall not disclose such information without WOLF's prior written consent. You agree to protect WOLF's proprietary rights and the proprietary rights of all others having rights in the Services during and after the term of this agreement and to comply with all reasonable written requests made by us or our suppliers and licensors of content or otherwise to protect their and others’ contractual, statutory, and common law rights in the Services. You acknowledge and agree that WOLF (or WOLF's licensors) own all legal right, title and interest in and to the Services, including any IP Rights which subsist in the Services (whether those rights happen to be registered or not, and wherever in the world those rights may exist). You further acknowledge that the Services may contain information which is designated as confidential by WOLF and that you shall not disclose such information without WOLF's prior written consent. Unless you have agreed otherwise in writing with WOLF, nothing in the Terms gives you a right to use any of WOLF's trade names, trademarks, service marks, logos, domain names, and other distinctive brand features. You agree not to use any framing techniques to enclose any trademark or logo or other proprietary information of WOLF; or remove, conceal or obliterate any copyright or other proprietary notice or source identifier, including without limitation, the size, color, location or style of any proprietary mark(s). Any infringement shall lead to appropriate legal proceedings against you at appropriate forum for seeking all available/possible remedies under applicable laws of the country of violation. You cannot modify, reproduce, publicly display or exploit in any form or manner whatsoever any of the WOLF’s Content in whole or in part except as expressly authorized by WOLF. To the fullest extent permitted by applicable law, we neither warrant nor represent that your use of materials displayed on the Services will not infringe rights of third parties not owned by or affiliated with us. You agree to immediately notify us upon becoming aware of any claim that the Services infringe upon any copyright trademark, or other contractual, intellectual, statutory, or common law rights by following the instructions contained below in section 16. We grant you a personal, limited, non-exclusive and non-transferable license to access and use the Services only as expressly permitted in these Terms. You shall not use the Services for any illegal purpose or in any manner inconsistent with these Terms. You may use information made available through the Services solely for your personal, non-commercial use. You agree not to use, copy, display, distribute, modify, broadcast, translate, reproduce, reformat, incorporate into advertisements and other works, sell, promote, create derivative works, or in any way exploit or allow others to exploit any of WOLF Content in whole or in part except as expressly authorized by us. Except as otherwise expressly granted to you in writing, we do not grant you any other express or implied right or license to the Services, WOLF Content or our IP Rights. By submitting Your Content you hereby irrevocably grant WOLF a perpetual, irrevocable, world-wide, non-exclusive, fully paid and royalty-free, assignable, sub-licensable and transferable license and right to use Your Content (including content shared by any business user having access to a ‘restaurant business page’ to manage claimed business listings or otherwise) and all IP Rights therein for any purpose including API partnerships with third parties and in any media existing now or in future. By “use” we mean use, copy, display, distribute, modify, translate, reformat, incorporate into advertisements and other works, analyze, promote, commercialize, create derivative works, and in the case of third party services, allow their users and others to do the same. You grant us the right to use the name or username that you submit in connection with Your Content. You irrevocably waive, and cause to be waived, any claims and assertions of moral rights or attribution with respect to Your Content brought against WOLF or its Users, any third party services and their users. You assume all risks associated with Your Content, including anyone's reliance on its quality, accuracy, or reliability, or any disclosure by you of information in Your Content that makes you personally identifiable. While we reserve the right to remove Content, we do not control actions or Content posted by our users and do not guarantee the accuracy, integrity or quality of any Content. You acknowledge and agree that Content posted by users and any and all liability arising from such Content is the sole responsibility of the user who posted the content, and not WOLF. Third party content, including content posted by our users, does not reflect our views or that of our parent, subsidiary, affiliated companies, branches, employees, officers, directors, or shareholders. In addition, none of the content available through the Services is endorsed or certified by the providers or licensors of such third party content. We assume no responsibility or liability for any of Your Content or any third party content. You further acknowledge and agree that Wolf is not liable for any loss or damage which may be incurred by you as a result of the availability of those external sites or resources, or as a result of any reliance placed by you on the completeness, accuracy or existence of any advertising, products or other materials on, or available from, such websites or resources. Without limiting the generality of the foregoing, we expressly disclaim any liability for any offensive, defamatory, illegal, invasive, unfair, or infringing content provided by third parties. You hereby agree and assure Wolf that the WOLF Platform/Services shall be used for lawful purposes only and that you will not violate laws, regulations, ordinances or other such requirements of any applicable Central, Federal State or local government or international law(s). You shall not upload, post, email, transmit or otherwise make available any unsolicited or unauthorized advertising, promotional materials, junk mail, spam mail, chain letters or any other form of solicitation, encumber or suffer to exist any lien or security interest on the subject matter of these Terms or to make any representation or warranty on behalf of WOLF in any form or manner whatsoever. If you share or send any ideas, suggestions, changes or documents regarding WOLF's existing business ("Feedback"), you agree that (i) your Feedback does not contain the confidential, secretive or proprietary information of third parties, (ii) WOLF is under no obligation of confidentiality with respect to such Feedback, and shall be free to use the Feedback on an unrestricted basis (iii) WOLF may have already received similar Feedback from some other user or it may be under consideration or in development, and (iv) By providing the Feedback, you grant us a binding, non-exclusive, royalty-free, perpetual, global license to use, modify, develop, publish, distribute and sublicense the Feedback, and you irrevocably waive, against Wolf and its users any claims/assertions, whatsoever of any nature, with regard to such Feedback. Please provide only specific Feedback on WOLF's existing products or marketing strategies; do not include any ideas that WOLF's policy will not permit it to accept or consider. Notwithstanding the abovementioned clause, WOLF or any of its employees do not accept or consider unsolicited ideas, including ideas for new advertising campaigns, new promotions, new or improved products or technologies, product enhancements, processes, materials, marketing plans or new product names. Please do not submit any unsolicited ideas, original creative artwork, suggestions or other works (“Submissions”) in any form to Wolf or any of its employees. The purpose of this policy is to avoid potential misunderstandings or disputes when WOLF's products or marketing strategies might seem similar to ideas submitted to WOLF. If, despite our request to not send us your ideas, you still submit them, then regardless of what your letter says, the following terms shall apply to your Submissions. You agree that: (1) your Submissions and their Contents will automatically become the property of WOLF, without any compensation to you; (2) WOLF may use or redistribute the Submissions and their contents for any purpose and in any way; (3) there is no obligation for WOLF to review the Submission; and (4) there is no obligation to keep any Submissions confidential. Some of the Services are supported by advertising revenue and may display advertisements and promotions. These advertisements may be targeted to the content of information stored on the Services, queries made through the Services or other information. The manner, mode and extent of advertising by Wolf on the Services are subject to change without specific notice to you. In consideration for Wolf granting you access to and use of the Services, you agree that Wolf may place such advertising on the Services. Part of the site may contain advertising information or promotional material or other material submitted to WOLF by third parties or Users. Responsibility for ensuring that material submitted for inclusion on the WOLF Platform or mobile apps complies with applicable international and national law is exclusively on the party providing the information/material. Your correspondence or business dealings with, or participation in promotions of, advertisers other than WOLF found on or through the WOLF Platform and or mobile apps, including payment and delivery of related goods or services, and any other terms, conditions, warranties or representations associated with such dealings, shall be solely between you and such advertiser. WOLF will not be responsible or liable for any error or omission, inaccuracy in advertising material or any loss or damage of any sort incurred as a result of any such dealings or as a result of the presence of such other advertiser(s) on the Wolf Platform and mobile application. It is the sole responsibility of participating restaurant ("Restaurant") to honor your order, as and WOLF is only a conduit between you and the Restaurant. WOLF shall not be liable for any acts or omissions on part of the Restaurant including deficiency in service, wrong delivery of the order, quality of food, time taken to deliver the order, etc. Please note that some of the food may be suitable for certain ages only. You should check the dish you are ordering and read its description, if provided, prior to placing your order. WOLF shall not be liable in the event food ordered by you does not meet your dietary or any other requirements and restrictions. While placing an order you shall be required to provide certain details. You agree to take particular care when providing these details and warrant that these details are accurate and complete at the time of placing an ordering. By providing these details, you express your acceptance to WOLF's terms and privacy policies. You or any person instructed by you shall not use food purchased via the WOLF Platform for resale. You agree that where WOLF is undertaking delivery of an Order, WOLF is authorized to collect an additional charge for the delivery service (“Delivery Charge”). The Delivery charge may vary from order to order, which may be determined on multiple factors which shall include but not be limited to order value, distance, demand during peak hours. WOLF will use reasonable efforts to inform you of the Delivery Charge that may apply to you, provided you will be responsible for Delivery Charge incurred for your Order regardless of your awareness of such Delivery Charge. All prices listed on the WOLF Platform are correct at the time of publication and have been placed as received from the Restaurant. While we take great care to keep them up to date, the final price charged to you by the Restaurant may change at the time of delivery. In the event of a conflict between price on the WOLF Platform and price charged by the Restaurant, the price charged by the Restaurant shall be deemed to be the correct price except for Delivery Charge of WOLF. 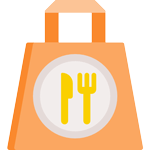 The total price for food ordered, including delivery charges and other charges, will be displayed on the WOLF Platform when you place your order. Users shall make a full payment towards such food ordered via the WOLF Platform. Personal Promo code can only be used by a maximum of 50 new users. YOU ACKNOWLEDGE AND AGREE THAT THE SERVICES ARE PROVIDED "AS IS" AND "AS AVAILABLE" AND THAT YOUR USE OF THE SERVICES SHALL BE AT YOUR SOLE RISK. TO THE FULLEST EXTENT PERMITTED BY APPLICABLE LAW, WOLF, ITS AFFILIATES AND THEIR RESPECTIVE OFFICERS, DIRECTORS, EMPLOYEES, AGENTS, AFFILIATES, BRANCHES, SUBSIDIARIES, AND LICENSORS ("WOLF PARTIES") DISCLAIM ALL WARRANTIES, EXPRESS OR IMPLIED, IN CONNECTION WITH THE SERVICES INCLUDING MOBILE APPS AND YOUR USE OF THEM. TO THE FULLEST EXTENT PERMITTED BY APPLICABLE LAW, THE WOLF PARTIES MAKE NO WARRANTIES OR REPRESENTATIONS THAT THE SERVICES HAVE BEEN AND WILL BE PROVIDED WITH DUE SKILL, CARE AND DILIGENCE OR ABOUT THE ACCURACY OR COMPLETENESS OF THE SERVICES' CONTENT AND ASSUME NO RESPONSIBILITY FOR ANY (I) ERRORS, MISTAKES, OR INACCURACIES OF CONTENT, (II) PERSONAL INJURY OR PROPERTY DAMAGE, OF ANY NATURE WHATSOEVER, RESULTING FROM YOUR ACCESS TO AND USE OF THE SERVICES, (III) ANY UNAUTHORIZED ACCESS TO OR USE OF OUR SERVERS AND/OR ANY AND ALL PERSONAL INFORMATION STORED THEREIN, (IV) ANY INTERRUPTION OR CESSATION OF TRANSMISSION TO OR FROM THE SERVICES, (V) ANY BUGS, VIRUSES, TROJAN HORSES, OR THE LIKE WHICH MAY BE TRANSMITTED TO OR THROUGH THE SERVICES THROUGH THE ACTIONS OF ANY THIRD PARTY, (VI) ANY LOSS OF YOUR DATA OR CONTENT FROM THE SERVICES AND/OR (VII) ANY ERRORS OR OMISSIONS IN ANY CONTENT OR FOR ANY LOSS OR DAMAGE OF ANY KIND INCURRED AS A RESULT OF THE USE OF ANY CONTENT POSTED, EMAILED, TRANSMITTED, OR OTHERWISE MADE AVAILABLE VIA THE SERVICES. ANY MATERIAL DOWNLOADED OR OTHERWISE OBTAINED THROUGH THE USE OF THE SERVICES IS DONE AT YOUR OWN DISCRETION AND RISK AND YOU WILL BE SOLELY RESPONSIBLE FOR ANY DAMAGE TO YOUR COMPUTER SYSTEM OR OTHER DEVICE OR LOSS OF DATA THAT RESULTS FROM THE DOWNLOAD OF ANY SUCH MATERIAL. 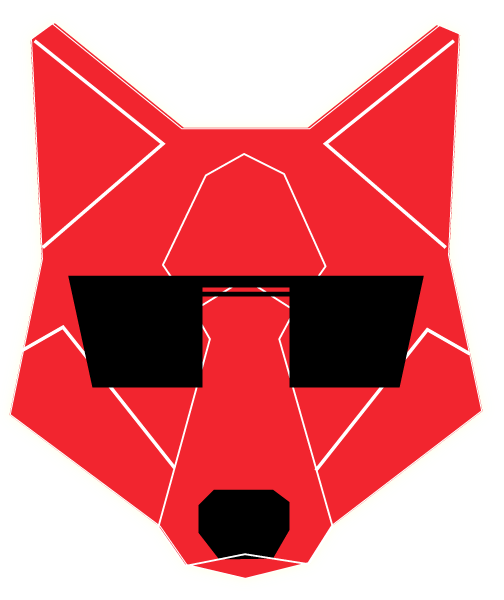 THE WOLF PARTIES WILL NOT BE A PARTY TO OR IN ANY WAY BE RESPONSIBLE FOR MONITORING ANY TRANSACTION BETWEEN YOU AND THIRD-PARTY PROVIDERS OF PRODUCTS OR SERVICES. YOU ARE SOLELY RESPONSIBLE FOR ALL OF YOUR COMMUNICATIONS AND INTERACTIONS WITH OTHER USERS OF THE SERVICES AND WITH OTHER PERSONS WITH WHOM YOU COMMUNICATE OR INTERACT AS A RESULT OF YOUR USE OF THE SERVICES. NO ADVICE OR INFORMATION, WHETHER ORAL OR WRITTEN, OBTAINED BY YOU FROM WOLF OR THROUGH OR FROM THE SERVICES SHALL CREATE ANY WARRANTY NOT EXPRESSLY STATED IN THE TERMS. UNLESS YOU HAVE BEEN EXPRESSLY AUTHORIZED TO DO SO IN WRITING BY WOLF, YOU AGREE THAT IN USING THE SERVICES, YOU WILL NOT USE ANY TRADEMARK, SERVICE MARK, TRADE NAME, LOGO OF ANY COMPANY OR ORGANIZATION IN A WAY THAT IS LIKELY OR INTENDED TO CAUSE CONFUSION ABOUT THE OWNER OR AUTHORIZED USER OF SUCH MARKS, NAMES OR LOGOS. You agree to indemnify, defend, and hold harmless the WOLF Parties from and against any third party claims, damages (actual and/or consequential), actions, proceedings, demands, losses, liabilities, costs and expenses (including reasonable legal fees) suffered or reasonably incurred by us arising as a result of, or in connection with: (i) Your Content, (ii) your unauthorized use of the Services, or products or services included or advertised in the Services; (iii) your access to and use of the Services; (iv) your violation of any rights of another party; or (v) your breach of these Terms, including, but not limited to, any infringement by you of the copyright or intellectual property rights of any third party. We retain the exclusive right to settle, compromise and pay, without your prior consent, any and all claims or causes of action which are brought against us. We reserve the right, at your expense, to assume the exclusive defense and control of any matter for which you are required to indemnify us and you agree to cooperate with our defense of these claims. You agree not to settle any matter in which we are named as a defendant and/or for which you have indemnity obligations without our prior written consent. We will use reasonable efforts to notify you of any such claim, action or proceeding upon becoming aware of it. You can delete your account at any time by contacting us via the "Contact Us" link at the bottom of every page or by following this process: Go to Profile > Setting > Security > click on the ‘Delete Account’ button and ceasing further use of the Services. None of the provisions of these Terms shall be deemed to constitute a partnership or agency between you and Wolf and you shall have no authority to bind Wolf in any form or manner, whatsoever. These Terms shall be governed by the laws of United Kingdom. The Courts of law at the United Kingdom shall have exclusive jurisdiction over any disputes arising under this agreement. By accessing the Services through a mobile or other devices, you may be subject to charges by your Internet or mobile service provider, so check with them first if you are not sure, as you will be solely responsible for any such costs incurred.